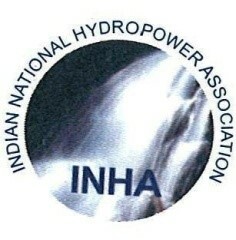 · The Indian Renewable Energy Development Agency (IREDA), US Hydropower council for International development and International Association for Small Hydro had sponsored the preparation of a "Manual on Development of Small Hydro-Electric Project" which was brought out in 2009. · CBIP was assigned the task of preparing a publication "Water Resources Development in India" and a map "Water Resources Map of India" by Indian National Committee on Irrigation & Drainage (INCID) on the occasion of the 60th International Executive Council meeting of ICID and 50th Asian Regional in Conference which were released at the time of its inauguration in December 2009, by the Hon'ble PrimeMinister of India, Dr. Manmohan Singh. · On the occasion of Indian Water Week 2012, CBIP was asked by the organizers to prepare two publications viz "Water Resources Development Scenario in India" and "History of Irrigation Development and Management in India". These publication were released by Hon. Minister for Water Resources Shri Pawan Kumar Bansal and Deputy Chairman Planning Commission, Shri Montek Singh Ahluwalia. · The Board has also been organizing workshops/training programs on Dam Safety and Canal Automation, exclusively for Kerala, Maharashtra, Orissa, Rajasthan, Tamil Nadu and West Bengal besides Indian Navy.